From patching holes and cracks to resurfacing with anti-slip, at IEF, we offer a range of concrete and resign floor repair services. Our team provides cost-effective solutions minimising downtime without the need to remove large slabs internal and external. 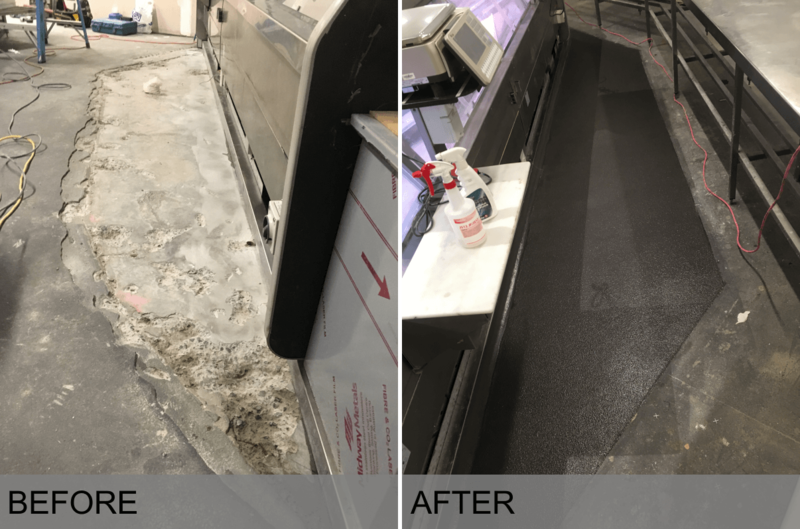 At Innovative Epoxy our experienced staff provides specialist solutions to a range of flooring issues, from resurfacing chipped, cracked and uneven flooring. Our epoxy and polished concrete flooring are highly durable, chemical and abrasion resistant and is UV stable making it an excellent option for re-surfacing without the need to remove slabs. We also carry out routine maintenance to existing epoxy, and polished concrete flooring of all shapes and sizes, residential, commercial, industrial may it be inside or outside.